California contains the southernmost native populations of most Pacific Coast salmon and trout, many of which appear to be rapidly headed toward extinction. A quantitative protocol was developed to determine conservation status of all salmonids native to the state. Results indicate that if present trends continue, 25 (78%) of the 32 taxa native to California will likely be extinct or extirpated within the next century, following the bull trout (Salvelinus confluentus), which was extirpated in the 1970s. California’s salmonids are adapted to living in a topographically diverse region with a Mediterranean climate, characterized by extreme seasonal and inter-annual variability in streamflow. Consequently, California salmonids have evolved extraordinary life history diversity to persist in the face of stressful conditions that often approach physiological limits. The spatial distributions of California salmonids vary from wide-ranging anadromous forms to endemic inland forms persisting in only a few kilometers of stream. Eighty-one percent of anadromous taxa are threatened with extinction and 73% inland taxa are either threatened or already extinct. Although specific drivers of decline differ across species, major causes of decline are related to increasing competition with humans for water, human degradation of watersheds, and adverse effects of hatchery propagation. Climate change, interacting with the other causes of decline, is increasing the trajectory towards extinction for most populations. Bringing all of California’s salmonid fishes back from the brink of extinction may not be possible. If there are bold changes to management policy, however, self-sustaining populations of many species may be possible due to their inherent ability to adapt to changing conditions. Initial funding for this project was provided by California Trout, Inc, through the Sage Fund. Funding for this analysis was provided by the California Department of Fish and Game and by the David and Lucile Packard Foundation, the Stephen Bechtel Fund, and the Resources Legacy Fund as part of the Delta Solutions program at UC Davis. This analysis would not have been possible without information and review provided willingly by dozens of biologists statewide, making this a true community effort. The views expressed are those of the authors and do not reflect official opinion of any institution. Dams were recorded as having a high impact on a species if they cut off a species from a large amount of its range, if they caused major changes to habitat, or if they significantly changed water quality and quantity downstream of the dam. The effects of the reservoirs created by dams were also evaluated. Dams were regarded as having a low impact if they were present within the range of the species but their effects were either very small or poorly known. The effects of agriculture were regarded as being high if agricultural return water or farm effluent heavily polluted streams, if diversions severely reduced flow, if large amounts of silt flowed into streams from farmland, if pesticides had significant impacts or were suspected of having them, and if other factors directly affected the streams in which a species lived. Agriculture was regarded as having a low impact if it was not pervasive in the watersheds in which the species lived or was not causing significant changes to aquatic environments. Livestock grazing was separated from other forms of agriculture because its effects are widespread on range and forest lands throughout California, especially the effects of cattle. Impacts are high where stream banks are trampled and riparian vegetation removed, resulting in streams becoming incised and the drying of adjacent wetlands. Removal of vegetation can also result in large amounts of silt being washed into streams, increased summer temperatures, and decreased summer flows. Impacts are low where grazing occurs in watersheds but changes described above are minimal. As California’s human population grows, people spread across the landscape, often settling in diffuse patterns along or near streams. This results in water removal, streambed alteration (to protect houses, create swimming holes, construct road crossings, etc. ), and pollution (especially from septic tanks). Where such housing is abundant and unregulated, it causes major changes to streams and their fishes and is rated as a high impact. Where such housing is present but scarce, the effects are usually low. When humans concentrate in towns and cities, they alter the streams that flow through them to reduce flooding and acquire the water. Pollution is rampant, both through sewage discharges and through less obvious means such as storm drains. Generally, the bigger the city, the bigger its effects on local streams and fish populations. The most severe instream mining took place during the 19th and early 20th century when miners excavated and dredged river beds for gold, turning them over multiple times. These severe legacy effects are still with us in many rivers. Nearly as severe, at least locally, have been instream gravel mining operations, in which large pits were dug into streambeds and banks altered. Such mining is largely banned (in favor of mining off-channel areas) but also has legacy effects. This was usually rated intermediate when present, although severe legacy affects resulted in high ratings for some species. The impacts of contemporary recreational and professional suction dredge mining for gold can also result in a high rating. This refers to hard rock mining, in which tailings can be dumped into streams and pollutants result from mine drainage, mostly of abandoned mines. The effects of mercury, used in processing gold in placer and dredge mining is also included here. High ratings come from situation where mines, even if abandoned, form a major threat because their wastes are poised on the edges of rivers (e.g. Iron Mountain Mine near Redding). Low ratings for species usually come from situations where old mines are present but their effects on nearby streams are not known or not obvious. Timber harvest has always been one of the major uses of forested watersheds in California. These same watersheds support the most species and highest abundances of fish, including anadromous salmon and steelhead. Logging was relatively unregulated until the mid-20th century, resulting in major degradation of streams through removal of trees as cover and landscape stabilizers. Legacy effects include incised streams with little large wood providing structure and many silt-bottomed reaches. Logging is still a pervasive activity in forested watersheds and is better regulated today than previously, but its effects can still result in siltation of streams, reduced complexity of habitat, and other alterations. High ratings were given when a species occupied streams degraded by either the legacy or contemporary effects of logging. Low ratings were awarded to species that used forested watersheds but where the effects of logging were either mitigated or of small significance. Forest, range, and scrub fires are part of California’s natural landscape but human activities have made them more severe (Gresswell 1999; Noss et al. 2006; Sugihara et al. 2006). Transition from relatively frequent understory fires to less frequent but catastrophic crown fires has been shown to be a major driver in the extinction risk of Gila trout (Oncorhynchus gilae) in New Mexico (Brown et al. 2001). There is little reason to think that similar factors are not pervasive in California. A fish species rated high for fire is one in which most of its streams are affected by fire, through increased erosion, increases in temperature, spills of fire-fighting chemicals, and effects of ash and other materials. Low ratings generally applied to fish that lived in areas where fires occur but for various reasons have minimal impact on streams. Many California fishes depend on estuaries for at least part of their life cycle. All estuaries in the state are highly altered by human activity, from siltation to pollution, to diking and draining, to removal of sandbars between the estuary and ocean. Thus the more estuarine dependant a fish species is, the more likely it was to get a high rating for this factor. Human use of streams as playgrounds has greatly increased along with the human population but the effects are usually minor, although concentrated at periods of time when stream flows are low. Recreation is likely to be rated high as a factor when there is, for example, heavy off-road vehicle use in limited habitat, ski resorts that increase sedimentation (from cleared areas for ski runs), or rafters and swimmers disturbing spawning or holding fish (salmon and steelhead). Harvest of fishes is both legal and illegal. Both can have severe impacts on fish populations, especially of large fishes or ones that are isolated and therefore easy to catch (e.g. summer steelhead). 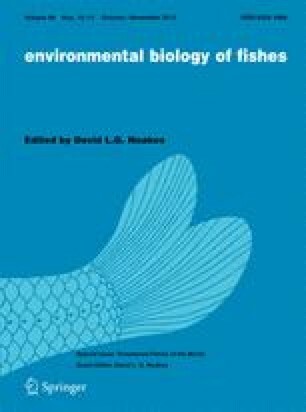 Most fishes do not have populations supported in part by fish hatcheries but for those that do, hatcheries often have negative effects on wild populations through competition for space and food, direct predation, and loss of fitness and genetic diversity (Kostow 2009; Chilcote et al. 2011). The severity of these effects was rated based in part on hatchery dependence and/or the threat of interbreeding between wild and hatchery populations. Non-native species are present in every California watershed and their impacts on native species through hybridization, predation, competition, and disease are often severe (Moyle and Marchetti 2006). Fish species were rated high in this category if there were studies demonstrating major direct or indirect impacts of alien invaders. They were rated low if contact with aliens was frequent but not negative.